A Brit supermodel on the cover of a British fashion magazine is a no-brainer…and it’s almost comical to think that it has taken over 16 years for Naomi Campbell to return to the cover of British Vogue. It’s all thanks to Edward Enninful, who finally makes the incomparable supermodel his cover girl for the magazine’s spring fashion issue, photographed by none other than Steven Meisel. Enninful himself styled the unconventional portrait shot, dressing Campbell in a look from Riccardo Tisci’s debut Burberry collection. Needless to say, our forum members will be racing to the newsstand for a copy. “Amazing! Must-have cover,” Chalka said. “Shut it down QUEEN! ICONIC,” applauded Riseup. “Genuinely stopped me in my tracks, I’ve waited since Edward’s first issue for a Naomi Cover and couldn’t be any happier. Also finally something different from Edward, it’s cool and modern but with an iconic model and team behind it. Bravo!” raved Blayne266. “Glorious! Naomi and Meisel are a match made in heaven,” LastNight agreed. “What a cover! Absolutely in love. 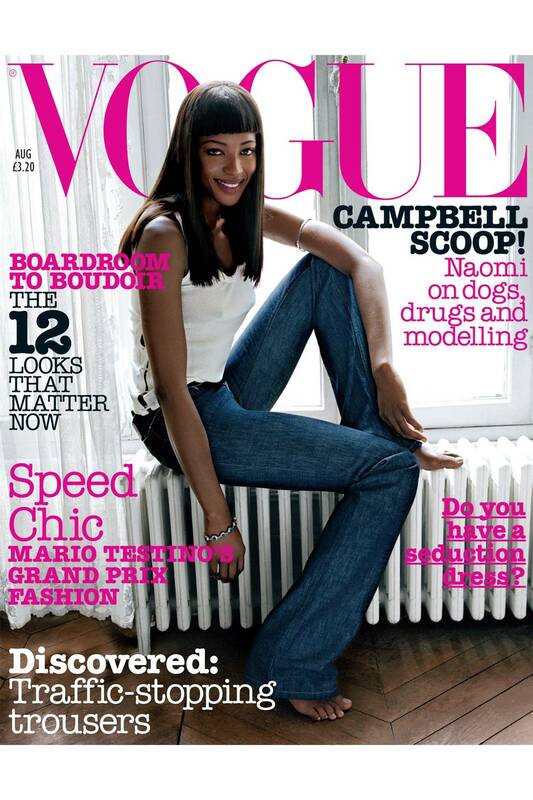 I’m so happy for Naomi to be back on the cover British Vogue and for the fact that it was shot by Meisel,” admired apple. Check out Naomi’s cover story, the rest of the content and join the conversation here. The post It Took Almost 17 Years for Naomi Campbell to Return to the Cover of British Vogue appeared first on theFashionSpot.